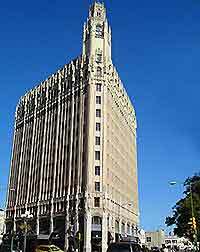 San Antonio features a mild, temperate climate which is typical of Texas, being hot, warm and pleasant throughout much of the year. Summers average around 30°C / 86°F from May to October, with the highest temperatures and sunniest weather in San Antonio expected during July and August. Showers are most likely during San Antonio's summer season, with occasional thunderstorms, although these rarely spoil the day. The fall climate in San Antonio is especially appealing, with warm and pleasant temperatures averaging 25°C / 77C, climbing higher during the sunniest weather. Winter temperatures drop slightly to around 14°C / 57°F, although nights can feel colder. Snowy weather is extremely unusual in the area, although by no means unheard of. The average annual daytime temperatures in San Antonio are around 24°C / 75°F.